It’s the heart of summer here in Central Florida. And, while we wish the Storm Force Accelatron had enough power to cool us all, it’s up to us to find alternative ways to beat the heat. Well, look no further! 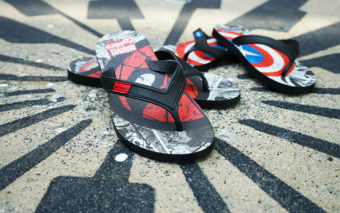 Universal Orlando Resort’s Official Sandal Provider, Rider Sandals, has a line of Marvel flip flops for adults. Kids also have their choice of Marvel sandals provided by Ipanema, Rider’s sister brand. Both brands have their own smashing Hulk design, patriotic Captain America design, and amazing Spider-Man design. 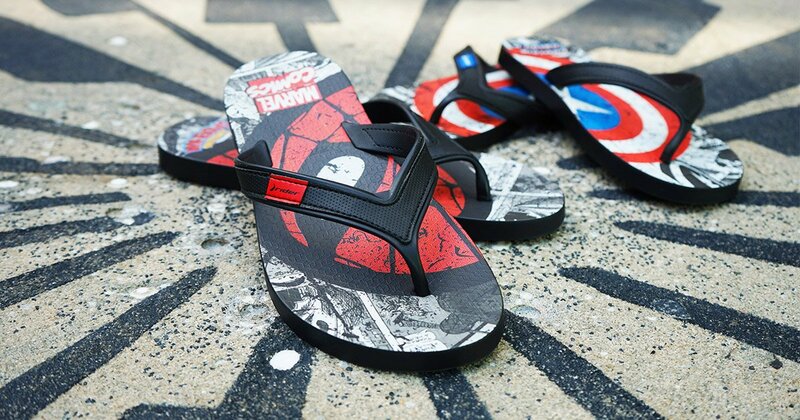 We also carry additional super styles such as Rider’s Punisher flip-flops and Ipanema’s pair featuring Iron Man. Scroll down to check out all of the cool designs and be sure to grab a pair during your next trip to Universal Orlando Resort. Also, make sure to stop by our new Marvel Boutique for super fashions and accessories for all you super-heroes out there.